DALLAS — In a battle between Pac-12 champion USC (11-2) and Big Ten champion Ohio State (11-2), two of college football’s premier offenses will go head-to-head in the Cotton Bowl at 8 p.m. on Friday. Both teams are top-25 offenses in total offense and points per game and have shown throughout the season the ability to blowout opponents. And in what will likely be the final games for both quarterbacks — Ohio State redshirt senior J.T. Barrett and USC redshirt sophomore Sam Darnold who is expected to leave early for the NFL draft — the two teams should be expected to try and send each out with a win. Barrett has helped lead the Buckeyes to rank among the top offenses during 2017 campaign. 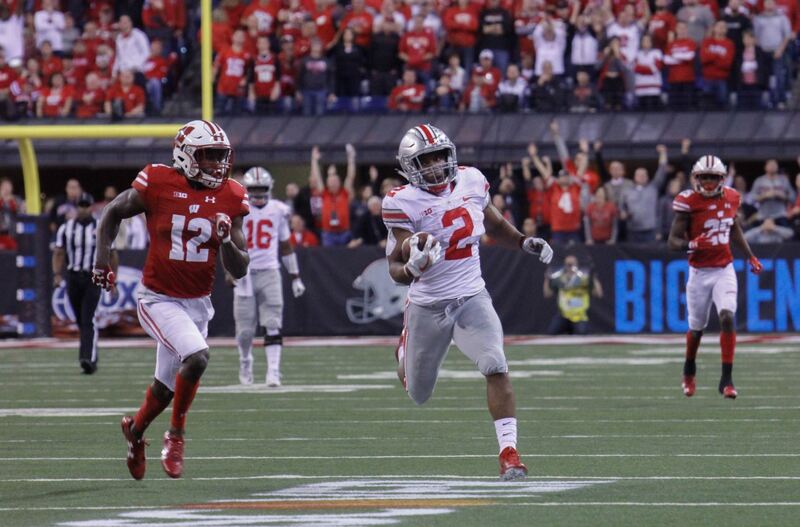 Ohio State’s 42.5 points per game are No. 5 in the nation, and the 523.7 yards per game ranks No. 6. 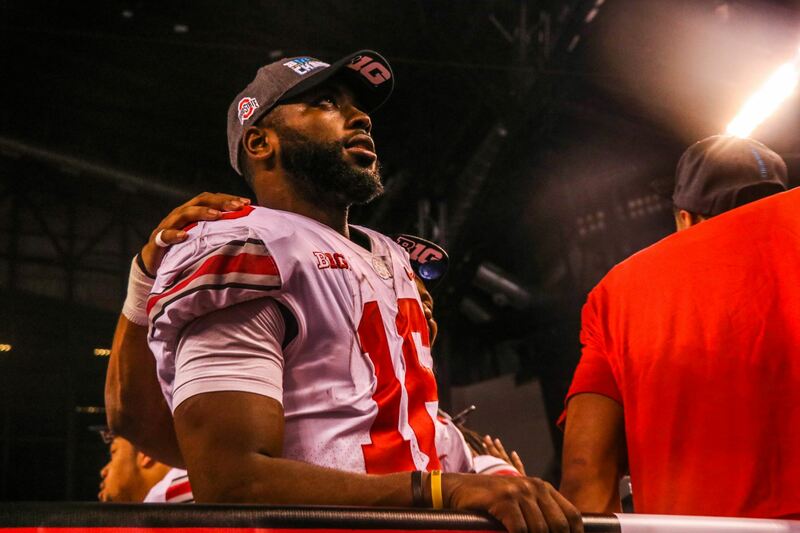 Barrett has put together arguably the second-best season in his storied career at Ohio State, completing 229-of-354 passes for 2,939 yards. He threw 35 touchdowns to only nine interceptions, while also rushing 149 times for 732 yards and 10 touchdowns. Part of the reason he has been able to have that much success has been the play of the offensive line. The unit has done an effective job protecting Barrett this season, having surrendered only 1.46 sacks per game, 31st-fewest in the nation. That offensive line will be tested against one of the strongest defensive lines in the nation. The Trojans average the sixth-most sacks per game at 3.31 and overall have the second-most sacks this season. Defensive ends Rasheem Green and Christian Rector all rank in the top five in the Pac-12 in total sacks with Green having 9.0 and Rector bringing in 7.5. Linebacker Uchenna Nwosu is tied with Rector at 7.5 sacks per game. The Trojans this season have had to rely on their defensive front to apply ample pressure to opposing quarterbacks because when the quarterback has time, he has proven to take advantage of a struggling secondary. USC ranks No. 97 in fewest passing yards per game (183.5) and 22 of its 40 total touchdowns allowed have come through the air. USC has been more effective at stopping opposing rushers, thanks in large part to that defensive front. It has allowed the 55th-fewest rushing yards per game (158.3) and 67th-fewest rush yards per attempt at 4.36. Ohio State has been one of the better rushing teams in the nation, however, and could prove to give USC fits in the trenches. Overall, the team ranks No. 15 in rushing yards per game (249.4) and No. 8 in yards per attempt (5.9). This has the chance to be one of the most lopsided matchups of the game. USC has struggled most against opposing offenses that heavily rely on the run for offense. Against other top-30 rushing offenses, it has given up 1,195 yards on 202 carries for an average of 5.91 yards per carry. Running backs like Stanford’s Bryce Love and Notre Dame’s Josh Adams have both done serious damage against USC, as did Arizona’s dual-threat quarterback Khalil Tate. With Ohio State boasting a running back tandem of J.K. Dobbins and Mike Weber with a dual-threat quarterback like Barrett, the Buckeyes could find a majority of its success through bludgeoning USC’s defense on the ground. The Trojans’ offense possesses about as many weapons as any team in college football. USC has a quarterback, running back and wide receiver all considered among the best in the 2018 NFL Draft at their respective positions. At the end of the year, that group of future NFL draftees helped the Trojans average the 24th-most points per game (34.5) and are 13th in total yards per game at 489.5. That offense starts and ends with the man under center. A likely top-10 pick in the upcoming draft, Darnold owns a 63.7 completion percentage (277-for-435) for 3,787 yards and 26 touchdowns to only 12 interceptions. He added 100 rushing yards and five rushing touchdowns on 64 carries. Though not considered a dual-threat quarterback, Darnold has demonstrated an ability to scramble outside the pocket when needed and take off down the field should he not see any open receivers downfield. He is known more for a strong arm and is considered more of a pro-style quarterback, preferring to stand in the pocket and wait for his receivers to get open. His favorite weapon this season has been wide receiver Deontay Burnett. The 6-foot, 170-pound wideout has brought down 74 receptions for 975 yards, including nine touchdowns. He has shown blazing speed throughout the season, and that ability to break the coverage early is one reason why he has been targeted early — 41 receptions on first down — and has also been a favorite when the team needs yards in bulk, making 58 receptions with eight-plus yards to go (78.4 percent of his total receptions). The Buckeyes have struggled at times to defend pocket-passing quarterbacks. Indiana’s Richard Lagow, who completed 40-of-65 passes for 410 yards and three touchdowns, Nebraska’s Tanner Lee, who completed 23-of-38 passes for 303 yards and two touchdowns and Iowa’s Nathan Stanley, who went 20-for-31 for 226 yards and five touchdowns. None of those three are close to the caliber of Darnold, making this a potential matchup concern for Ohio State. Another explosive weapon the Trojans have in their arsenal is running back Ronald Jones. The speedy junior running back has racked up 1,486 rushing yards on 242 carries, 18 of which have gone for touchdowns. He also has 187 receiving yards on 14 catches, including a 56-yard touchdown. But what makes the Trojans’ rushing attack so dangerous is the depth it contains. While Jones is undoubtedly the top rusher, he is supported by three other running backs (Stephen Carr, Vavae Malepeai and Aca’Cedric Ware), all of whom have rushed for over 200 yards and average more than five yards per carry. 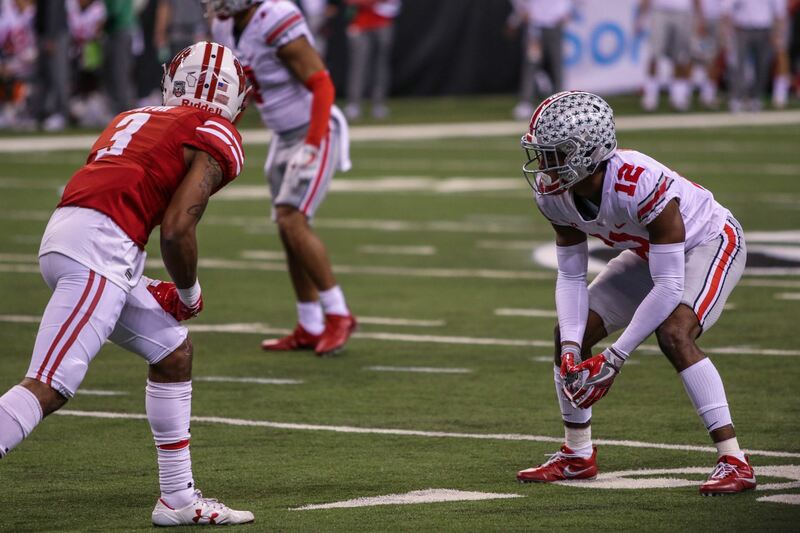 Unlike the Buckeyes’ passing defense, the front-seven for the Buckeyes have not buckled against any opponent. Penn State’s Saquon Barkley, Michigan State’s L.J. Scott and Wisconsin’s Jonathan Taylor all failed to crack even 50 rushing yards or average more than four yards per carry. Overall this season, the Buckeyes are eighth in fewest rushing yards allowed per game (108.8) and fewest rush yards per attempt (3.0). What will likely determine the game on the offensive side of the ball for USC will be the success, or lack thereof, in the offensive line slowing down Ohio State’s defensive line. The Buckeyes rank 21st in sacks per game with 2.9 and 13th in tackles-for-loss per game with 7.7. The Trojans’ offensive line has struggled with injuries during the season, but nevertheless has allowed only the 43rd-fewest sacks per game with 1.7. It has also been effective at limiting tackles-for-loss with 4.5 per game, good for 19th-fewest in the nation.